With the weather really cold this February and trying to save on the electricity running the heat pump, we’ve been using the wood-burning stoves more. But the logs were getting low. Now it’s been friends to the rescue. Carol Brown with her chainsaw and trained woodswoman skills has cut up a fallen tree. 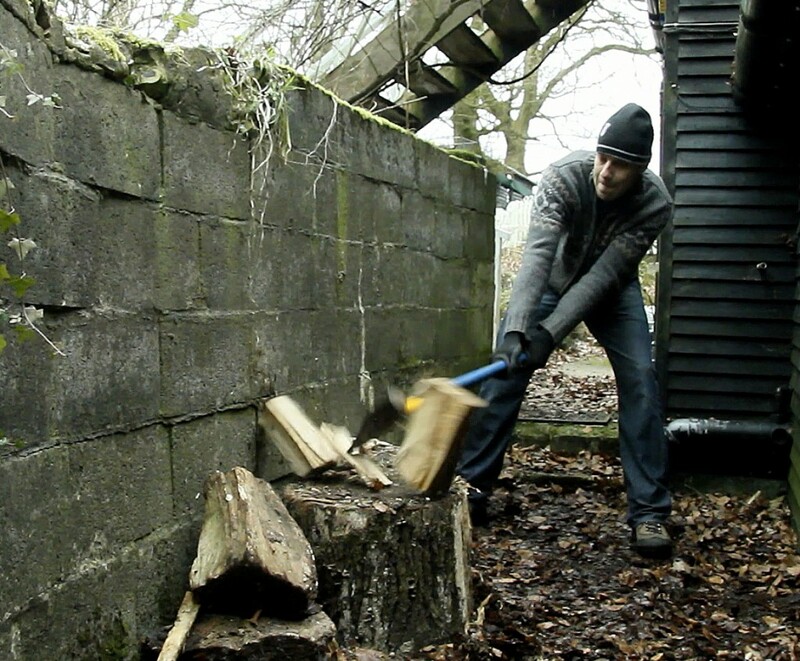 And today Jeff Allen has done a great job with the splitting axe. Now to check again how green it is to be burning our own fallen timber. Malaria, Movies and the Passions of Richard Curtis Malaria No More!